Current industry trends, innovations, and how to ensure your solution keeps you competitive. More questions? Contact us for free price quotes, demos or recommendations before you waste time with the wrong vendor! 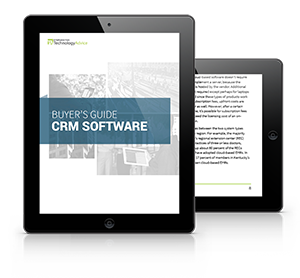 In this buyer’s guide, we’ll look at four primary categories of CRMs based on features and business application, as well as some of the leading vendors. It’s important to remember that within each category you will find a diverse range of products—some seeming to straddle multiple categories or even elude definition. Hence, these categories are not meant to be definitive, but rather serve as a framework from which you may make a more informed purchase decision.